Many baby boomers grew up with the idea that 4-H was a great program for teaching kids how to farm. In our minds, we carry images of young children proudly holding blue ribbons won for their healthy calves and sheep at the county fair. This, we think, is 4-H.
Can you picture middle school students working with architectural models and computer parts, dancing to music from a variety of cultural backgrounds, integrating engineering and computer programming, studying polymers, growing bacteria, designing roller coasters and yes, listening to the heartbeat of a sheep? This is also 4-H today. 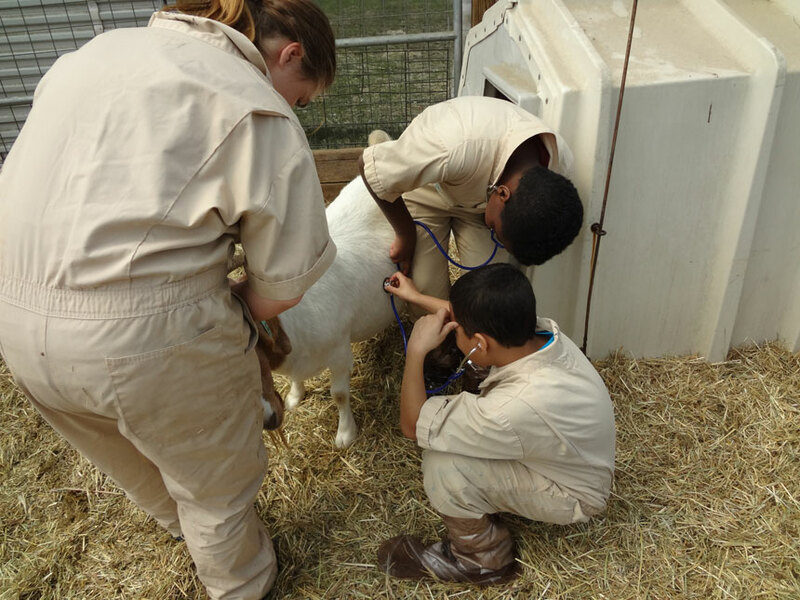 Many topics that most people may not consider traditional 4-H, but are critical for 21st century skills, are now woven into the program. They have stayed true to the 4-H original mandates: citizenship, healthy living, and science (specifically, science, engineering and technology, or “SET”). SET has been identified as an area of national and local need by 4-H across the country. Education within these disciplines is vital for a globally- and regionally-competitive workforce. 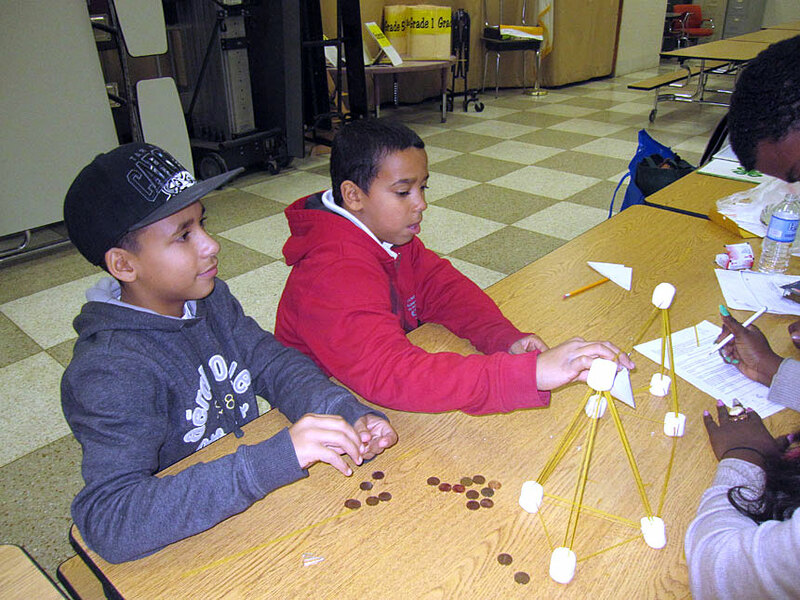 The UMass Extension 4-H Youth Development program is uniquely positioned in the Commonwealth to assist in delivering quality educational programs in out-of-school settings. To say that Karen Barshefsky and Lauren DuBois are powerhouses for 4-H education at UMass Amherst would be an understatement. These two strong advocates for student participation and SET education in Springfield and Holyoke have had an exceptionally positive impact in the lives of many youth in these two cities. Barshefsky has worked in 4-H for over 24 years and happily embraces change. She has been strongly present for students over the years and heartily believes that 4-H is a great vehicle for youth development. 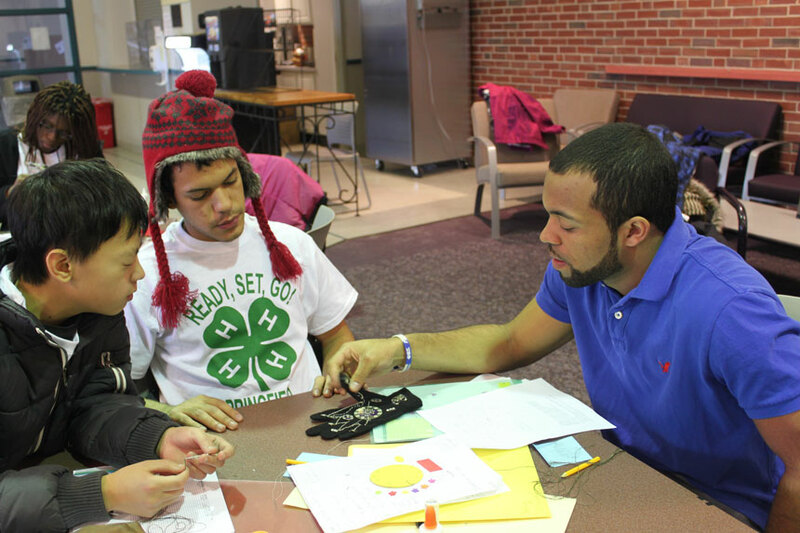 4-H is one of the longest running youth development organizations in the country. She said that during the early 1990’s, Massachusetts 4-H took an in-depth look at at-risk students and began to focus organizational efforts on reaching this population. Currently, an integral part of this outreach at UMass Amherst involves the campus’ “Student Bridges” (SB) organization. SB is a student-initiated outreach program that connects UMass students with local community-based organizations and schools through tutoring-mentoring partnerships, college-positive activities, and policy advocacy. In 2009, Barshefsky received a five-year grant to work with “Children, Youth and Families At Risk” from the U.D. Department of Agriculture that enabled a partnership to be formed between 4-H and the Springfield community. 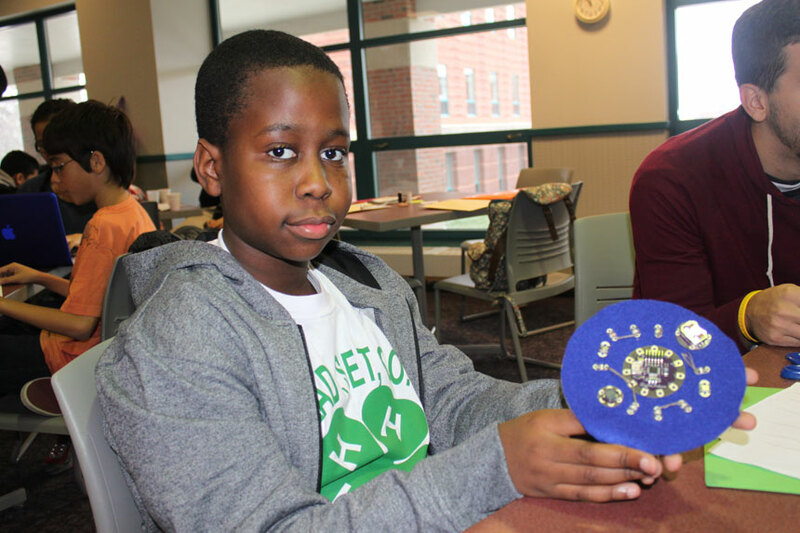 Together, the UMass Extension 4-H Youth Development program and Student Bridges now team up with Springfield’s North Citizens’ Council, Inc. and South End Community Center, Inc. to support Springfield youth. Their aim is to help students reach their fullest potential through developing life skills, participating in experiential education, raising college awareness and utilizing the knowledge and resources of the land-grant university system. 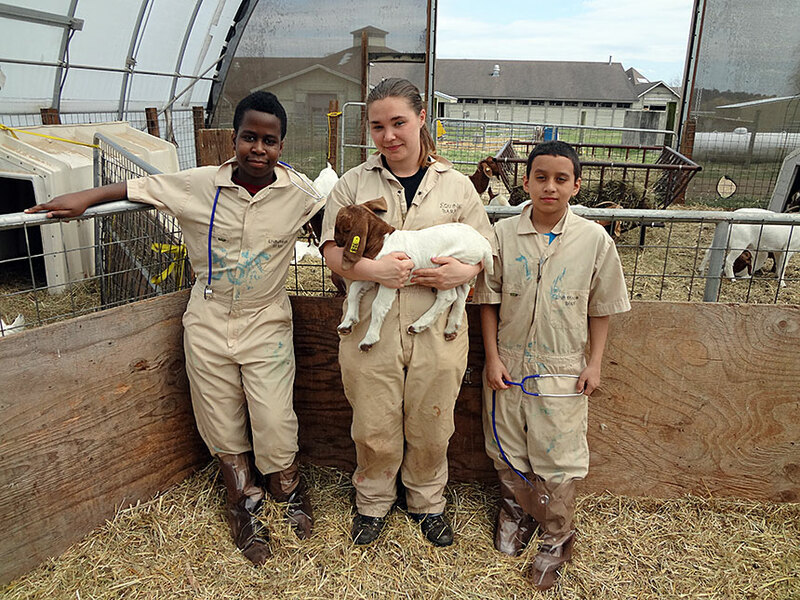 Her deep-seated interest in this work led her to apply for and become the successful applicant for a 4-H Extension Educator position in 2011. DuBois describes the Springfield middle school students as “very enthusiastic” about participating in the after-school program and this enthusiasm only grows as she introduces more experiences that become life-changing for the young people. A good example of the structure that 4-H provides is a daily check-in called “Roses and Thorns.” This is an opportunity for youth to share a rose (one good thing that happened that week) and also to share one thorn (one bad thing). This builds listening skills between and among the group, provides a practice time for public speaking, shows respect for other students and strengthens the group as a whole. 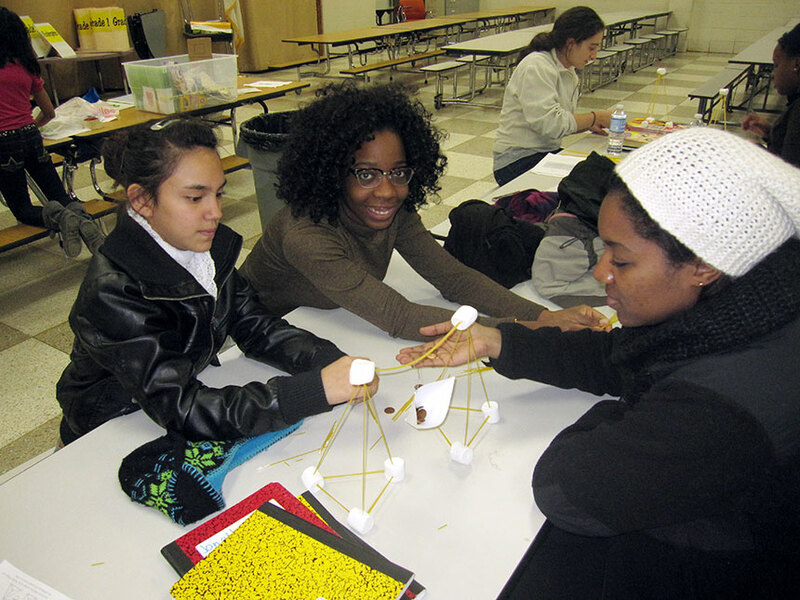 Students who participate in the after school programs primarily attend the Chestnut Accelerated Middle School, the Springfield Renaissance School, and the South End Middle School. Feedback from parents has been universally positive. Many parents say that this program has made the difference for their children: now they have goals. For the first time, students and their families can imagine a college experience for their children as they gain skills and confidence through 4-H. Barshefsky sums up the involvement of UMass Extension succinctly, “We reach out to under-represented youth and we value what we do.” Indeed, many others share that sentiment where these children become the beneficiaries of this remarkable outreach. More information on the UMass Extension 4-H Youth Development program.